The stage is set for an exciting day of hockey as the semi-finals of the fifth edition of Coal India Hockey India League gets underway with a clash between Kalinga Lancers and Uttar Pradesh Wizards here at the Chandigarh Hockey Stadium in Sector 42. This match will be followed by the second semi-final between table toppers Dabang Mumbai and Delhi Waveriders. The top four teams will not only play for pride, honour and the trophy but they will also vie for the handsome cash reward of Rs 2.50 crores. The 2017 Tournament total prize money of Rs 6,01,00,000 is being awarded for 11 different categories throughout the tournament. While the Kalinga Lancers, having finished the pool stage in the second position on the points table, have been a dominant team this season, the Uttar Pradesh Wizards are determined and eager to make it to their first ever final in the history of the league. Uttar Pradesh Wizards’ best performance so far has been a third-place finish in 2013. Though they did make the last four in the first three seasons, a pulsating 9-8 defeat in the shootout to Ranchi Rays kept them out of the final in 2015. “Our first aim was to make it to the Semi-Finals. Now that we have achieved it, we want to make this opportunity count and qualify for the Final. We are probably the only team who has made it to the Semi-Finals maximum number of times but not made the Final,” stated Uttar Pradesh Wizards skipper V.R Raghunath. The team, under the watchful eyes of Roelant Oltmans, trained one last time on Friday to fine-tune their skills and work out specific plans for Mark Hager’s squad which includes players like German stalwart Moritz Fuerste, Glenn Turner and Dutchman Billy Bakker who bring great variety and quality to their defence, which is Kalinga Lancers’ strong point. The Bhubaneswar-based franchise had made it to the semi-finals last year ahead of Dabang Mumbai only because of goal difference, and then won a shootout against Ranchi Rays, before losing 6-1 in the final to the Jaypee Punjab Warriors. “That was a bitter loss because we had played very well through the season but lost out because of one bad day on the field. We didn’t play our natural game but this year, we are stronger and have had a good week-long training session here in Chandigarh. The team is fresh and upbeat for the Semi-Final and we are looking forward to a good contest,” expressed Fuerste, captain of Kalinga Lancers. In the second semi-final, Dabang Mumbai, led by the ever-inspiring German Florian Fuchs, will take on Delhi Waveriders, who after a slow start made a remarkable comeback in the league with some fine victories against defending champions Jaypee Punjab Warriors, Kalinga Lancers and Uttar Pradesh Wizards that ensured a semi-final spot. “Though Delhi Waveriders didn’t get off to a great start nor did they lose games by big margins, they have managed to turn things around for themselves with some inspiring performances. But having said that, our team is very confident especially after winning some good games where we have come back in the last 15 minutes to win. 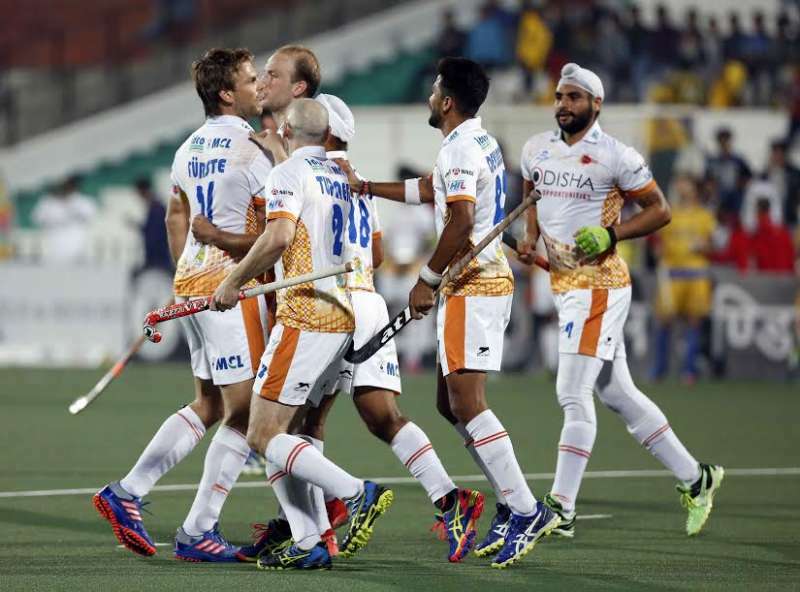 As a franchise, this is the first time Dabang Mumbai is playing in a semi-final and the mood in the team is upbeat and everyone is excited to play the semi-final,” said Florian Fuchs. Delhi Waveriders, on the other hand, would be hoping to keep up their winning ways despite a loss in their previous game to Ranchi Rays. They will be heavily banking on defender Iain Lewers, midfielder Harjeet Singh and Austrian Benjamin Stanzl to provide a good supply to German Niklas Wellen, Mandeep Singh and Parvinder Singh in the forward line. “I think we played well in the last 15 minutes against Ranchi Rays but we had conceded too many goals to make a comeback. We can’t afford to make the kind of mistakes we did in the league stage. Dabang Mumbai have been very consistent this season and we need to make sure we don’t miss out on the chances we create. 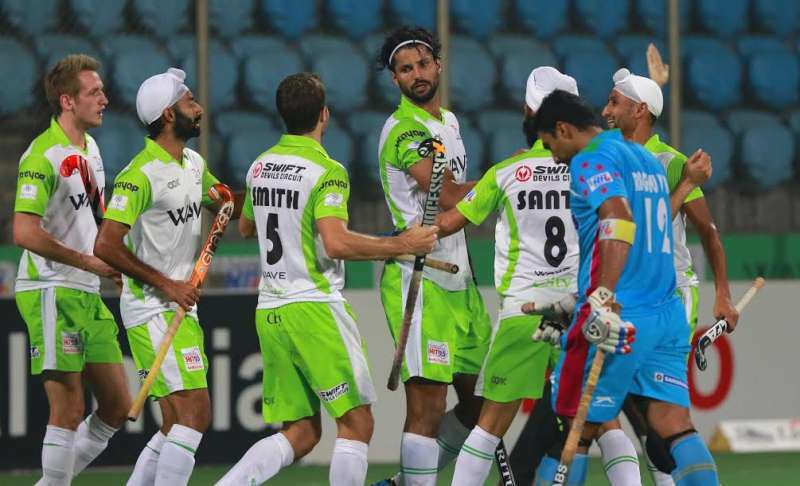 “The beauty of the tournament is such that you can’t predict which team will pull off a win and I am sure it will be an exciting outing of hockey on Saturday,” stated India’s ace drag-flicker Rupinder Pal Singh, also the skipper of Delhi Waveriders. Can the UP Wizards continue their fine form? 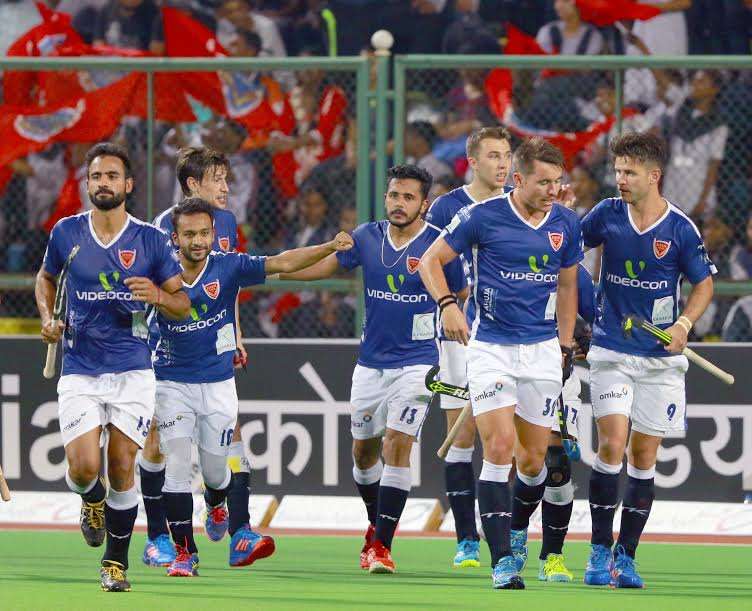 The winning team of the fifth edition of Coal India Hockey India League will be awarded a cash prize of Rs 2.50 crores while the runners-up will be presented with Rs 1.25 crores, second runner-up will win a cash prize of Rs 75 lakhs. The Coal India Most Valuable Player of the Tournament will walk away with a cash prize of Rs 50 lakhs. Winner of the Ponty Chadha Upcoming Player of the Tournament will win Rs 20 lakhs. Winner of the Dhruv Batra Maximum Goals Award will win Rs 20 lakhs. The Hero Achiever of the Tournament will win Rs 10 lakhs. The Coal India Goal of the Match (34 matches) wins Rs 50,000/- per match. The Man of the Match (34 matches) wins Rs 50,000/- per match. The Airtel Most Entertaining Player of the Match (34 matches) wins Rs 25,000/- per match. The Hero Young Achiever of the Match (34 matches) wins Rs 25,000/- per match.